SentryOne now offers end-to-end data performance management capabilities to ensure that your customers' data is high-performing from the start. In addition to the SentryOne monitoring platform, we now offer a suite of products that speed productivity for SSIS developers, BI developers, compliance managers, documentation managers, and more. Learn more about how SentryOne accelerates development and performance management of the Microsoft data platform with the SentryOne platform and the Pragmatic Works Software product suite, which includes Task Factory and Pragmatic Workbench. The SentryOne platform helps data professionals monitor, diagnose, and optimize the Microsoft data platform with unrivaled scalability. Task Factory offers essential, high-performance components and tasks for SSIS that eliminate the need for programming. Pragmatic Workbench helps DevOps teams easily develop, test, document and monitor the Microsoft Data Platform. Looking to expand your toolbox? We’ve created three brief presentations to demonstrate new opportunities for the Global Partner Network. Learn about SentryOne and our decision to acquire Pragmatic Works in Spring 2018. 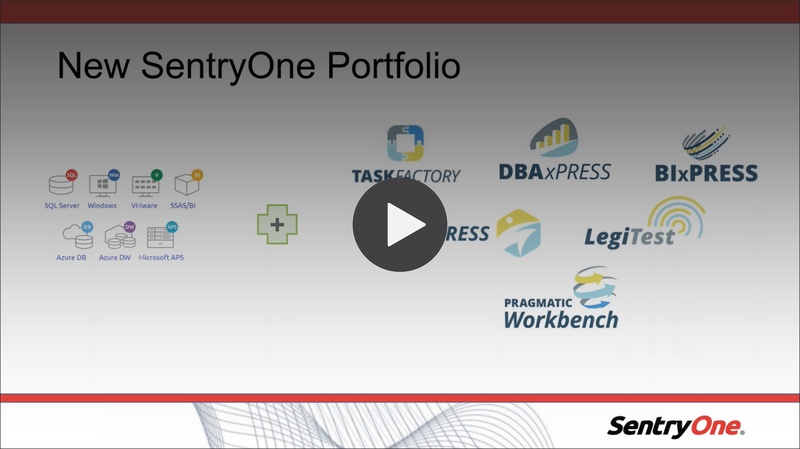 See what the SentryOne portfolio looks like with the addition of the Pragmatic products. Presenting the current and future states of the SentryOne. Understand what to expect from SentryOne and the integration of the Pragmatic products. See the four partner profiles within the SentryOne Global Partner Network. Learn how partners work within all four profiles and how Pragmatic products benefit all partner types.